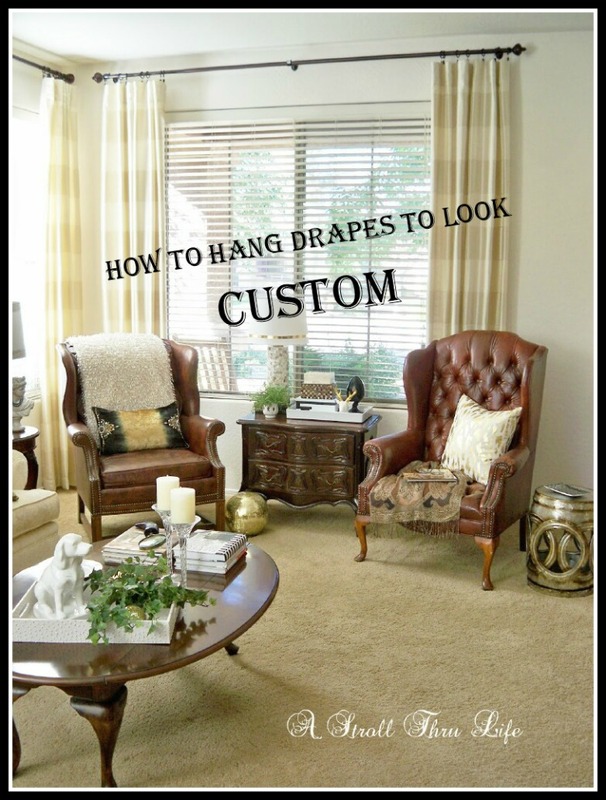 I did a tutorial quite a while ago on how to professionally hang drapes and I have recently had a number of people ask me to share that post again. This is an updated version of that post, so I hope it explains my process. It doesn't matter if you are using Custom, Readymade or off the shelf Ikea, the process is the same. 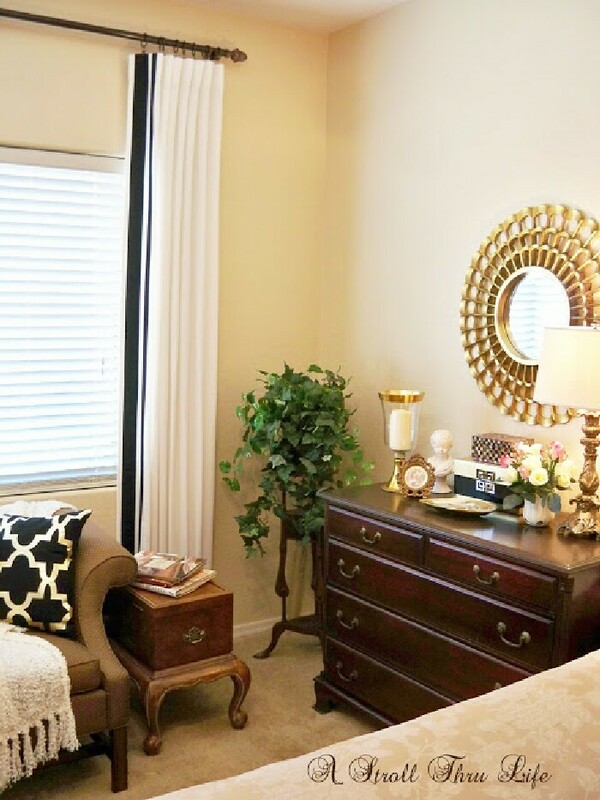 If you follow these few steps all of your drapes will look Custom and you will have a really polished and professional looking drape. I am showing you three different drapes that I hung so you could see the whole process. This is how I hang them whether ready made or custom. All of my drapes are lined which gives them some weight, and I prefer fabric with a bit of weight too. 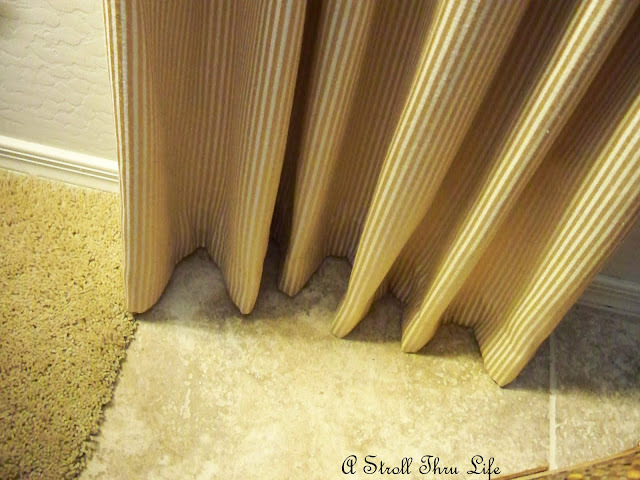 Both of these things help the drapes hold the pleats, but the same idea works well for unlined drapes. The placement and number of rings is a major factor. Too many or too little and they won't hang properly. I've made all the drapes out of 54" wide fabric and using 7 rings is perfect for this width. If I buy ready made drapes, I try to find ones that are at least 50" wide so they have some fullness. I don't puddle any of my drapes, I just hem them to barely skim the floor. I also do a double 3" or 4" inch hem so the bottom also has some weight. Next is what I call finger pleating. I follow the fold of the panel that is pulled forward on the rod down to the hem and use two fingers to gently press them into pleats. Make sure you have the drapery fabric and the lining together. This doesn't create any sharp edges, it just allows the fabric to naturally follow the line from the top to the bottom. Just take the index and middle finger and place the fold between them and run up and down the fabric. The fabric on these drapes were a slubbed silk that was harder to get the folds to stay in place, so I did the finger pleating then tied them together softly with pieces of fabric. I leave them tied for a few days to "set" the memory in the fabric, then when I untie them they hang in perfect pleats. 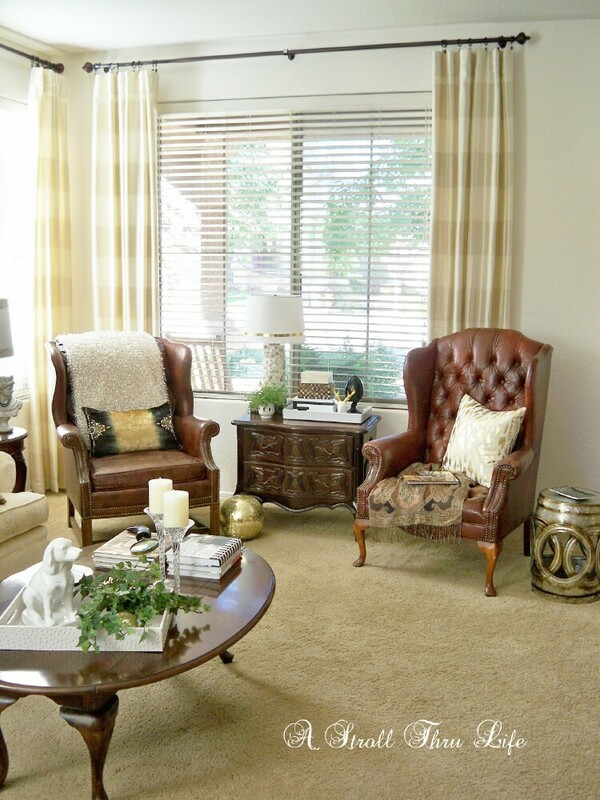 This is a pair of Ikea drapes that I added some ribbon trim to. 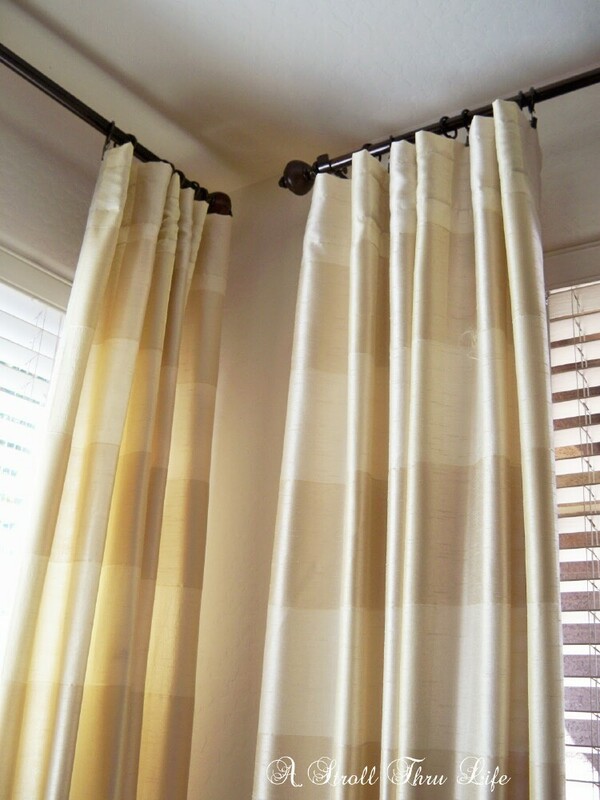 The same process works for these unlined drapes too. How do you get the height of the rod exactly right? Adding the curtain length, the rings, the rod, etc. to come out just right. We never get it just right!! Take one panel and add the ring to it, then lay it all out on the floor with the rod through the ring and pull it tight. Measure and that is how high the rod needs to go. Actually I do it the other way. 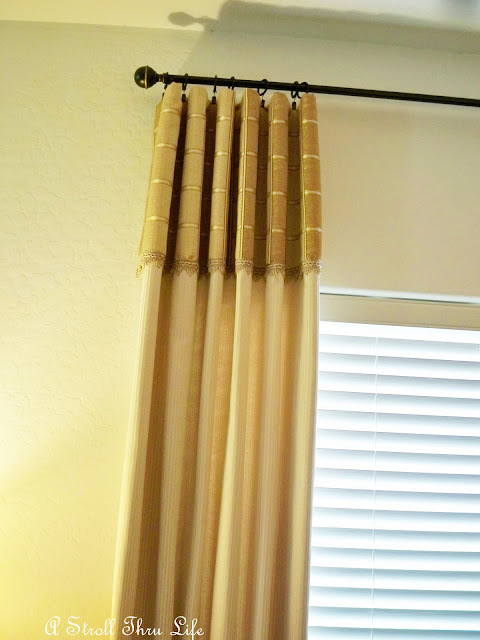 I put the rod exactly where I want it to be for the best look for the window, then I hang the drape and then pin them up to just barely above the floor and then hem them. Looks great, Marty! 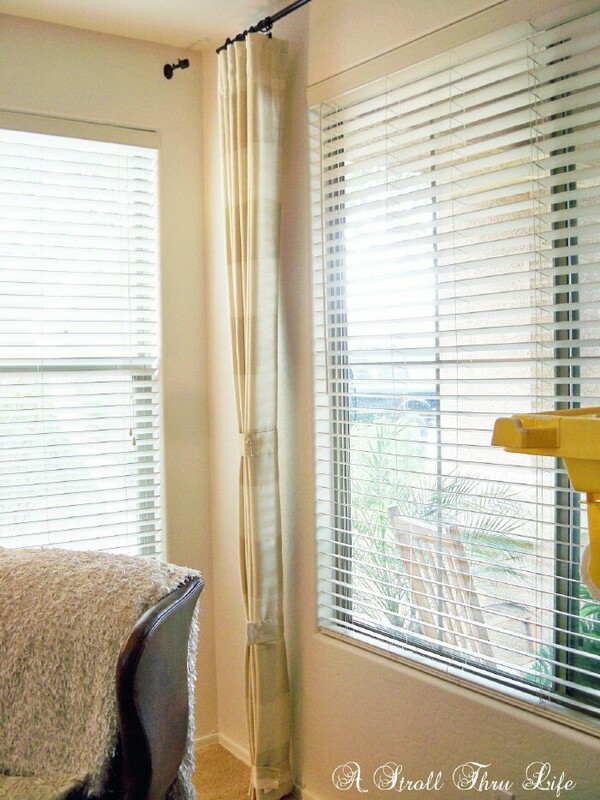 I do the same thing with my curtain rings when I want a polished, pleated look. Your drapes are lovely. 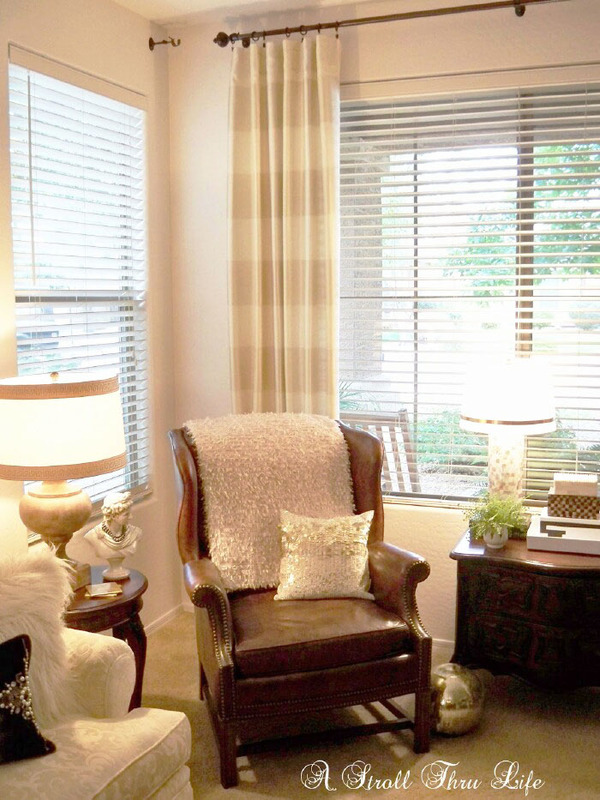 We have plantation blinds in our dining room, living area and master bedroom. 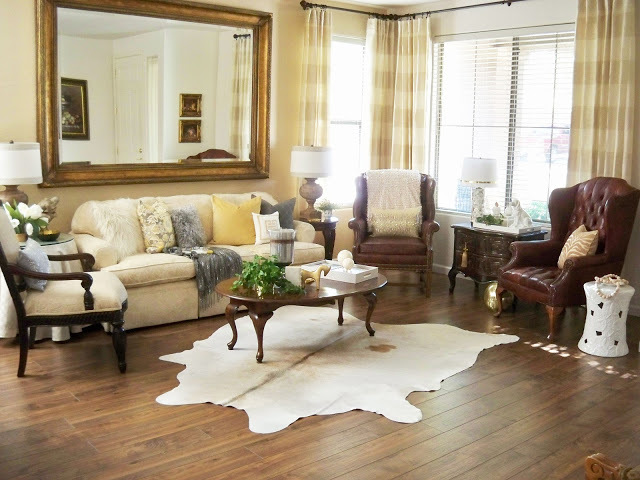 I will be adding drapes to these rooms sometime this year. These tips will come in handy! Thanks! Thank you for this, Marty. You mentioned that you make some of your own drapes. Do you have a tutorial for that? Oh my goodness...just read the post! Using a twin sheet as your liner is totally genius! Now I can't wait until my house is done so I can make my own drapes. Thank you so much! I remember your post, but thanks for the refresher. I will soon be making new draperies for my living room and I will definitely keep this in mind when hanging them. 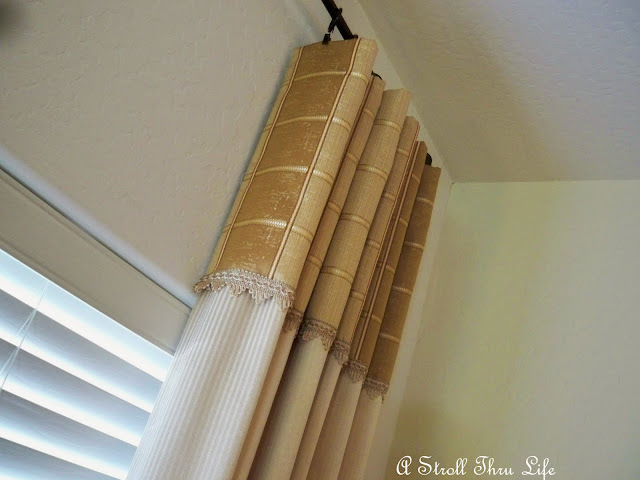 Great post and I love the drapes. Happy New Year! Hope yours is warmer than ours!! These look great. I was informed by my friend, a Budget Blinds franchisee, that puddled drapes are out. Of course I hemmed all mine as soon as she told me that. I have always loved your draperies. Great post.